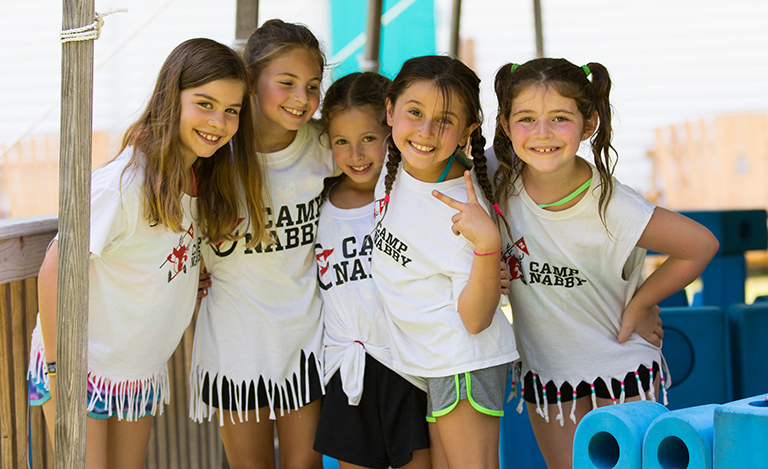 Camp Nabby… more than just a fun place! 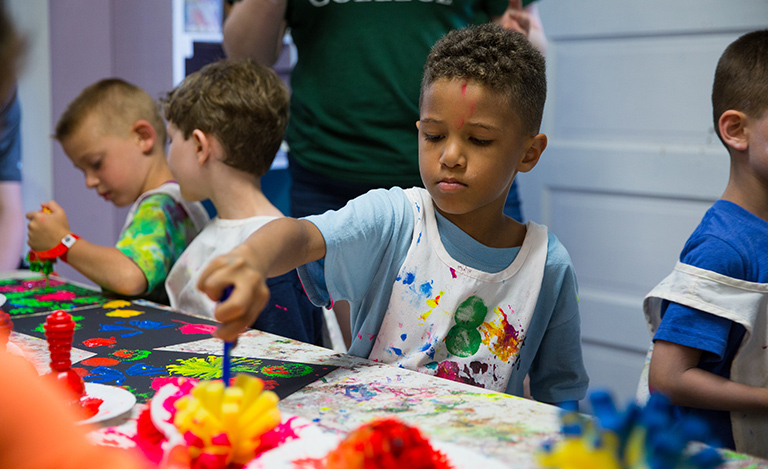 Camp Nabby is more than just a fun place to send the kids for the summer. It’s a family, a true community that welcomes all children and supports their individual growth. We’ve already moved into ‘Countdown to Nabby’ mode at our house. It’s truly a highlight of the year – getting to go to Nabby means catching up with friends, running, swimming, playing, hanging out with Ranger Rick and his critters, participating in the music program, and most of all just getting to be a kid. Thanks for creating such a magical place where kids can be kids! We became part of the Nabby Family 7 years ago and haven’t looked back. While other families look forward to vacation, we look forward to Camp! Eight weeks of fun in the sun, playing, learning and growing. It’s a special time and delivers so many lifelong memories and benefits that I can’t even begin to list them all in a short review. Thank you, Joe, Rita and the rest of the staff for making our summers as good as they possibly could be!!! The camp that our daughters had been attending closed. We needed to find another camp in Westchester where they would have as much fun and meet new friends. They have been going to Camp Nabby for three years now and love it. The facilities are well maintained and there is so much programming every day. The management really cares about keeping the campers and counselors happy ─ and it shows. Recommended for kids of all ages. A gem of a day camp! We are so fortunate to have this gem of a day Camp right here in our community! Camp Nabby offers a well-rounded experience for all age levels! My son went there as long as he could – could not wait for another summer to begin and was always so sad when the season ended! The activities are so varied – sports, nature, crafts – beautiful pools – amazing weekly events that the kids look so forward to. Cannot forget to mention the caliber of counselors they employ as well as the hands-on owners who run the camp seamlessly – Camp Nabby is truly a special place the memories and friends my son made there will last a lifetime. I can’t say enough about what Camp Nabby has given to my children. My kids countdown the days every school year. They live for this Camp and have made wonderful friendships. They have learned so much. As my kids say “Camp Nabby is a magical place”. The last day of camp is always a tearful one. Can’t wait for another summer filled with fun and memories for my kids!! We are very happy to have found such a wonderful place for our child to spend her fun filled summer days. Such a warm atmosphere owned and operated by a truly darling family. Here you are truly a part of their family. WISH IT WAS OPENED ALL YEAR ROUND!!! Camp Nabby is a wonderful, fun filled camp experience for children. My daughter and I call it “happy land” and we count down the months until we are back again for another amazing summer. The staff is professional, warm, and loving. My daughter has been there for 8 years and has made lifelong friends. Rita and Joe run an amazing program and are lovely people! We love camp Nabby! Camp Nabby lives up to their reputation as a safe and fun place for children! The workers are experienced and wonderful with kids. The owners are such kind people, and they created a beautiful place! Been going to camp Nabby ever since I was little and had nothing but fun. The counselors and other kids there make it so easy to make new friends it incredible. Greatest place on earth! This camp has been a wonderful place for kids to have summer fun ever since Abe & Marie Nabatoff opened it right through Frank & Flo Bertino and now with Joe & Rita Bertino. Your children could not spend the day in a safer environment filled with fun. Hands Down, the very best summer experience for your child. Swimming, dodgeball, baseball, soccer, archery, zip line, rock wall and so much more. Excellent, experienced staff and beautiful setting. My sons both attended Nabby for many years, then both worked there as counselors. This will be my tenth summer as a counselor myself. Just can’t get enough. A terrific summer experience for kids. A terrific summer experience for kids. The owners and staff are attentive, dedicated and professional. There’s a reason they’ve been around for 75 years ─ they have perfected summer camp. I just wanted to let you know that Lanie and I are both really happy campers!!!!! Amanda has been AMAZING with Lanie and communicating with me via email after camp. I just want you to know what a great first week we are having and how supportive your staff has been with my daughter. She comes home happy and calm and it is the most wonderful gift to be able to send her to Nabby!!!!!! Thank you for letting these kids be who they are and gently helping them grow and conquer! First of all, I just wanted to thank you for an amazing few weeks. Reese has been SO happy at nabby and we are SO pleased with her first camp experience! Thanks again for everything! We love camp nabby!